GAME TIME is our newest formulated ration to help you and your animal with the Final Push when headed to the show ring. With Premium Ingredients and 9 grams of Paylean®. You should see more bloom, muscle mass and freshness when fed the last 15-30 days prior to show. A complete feed for finishing pigs fed for exhibition. 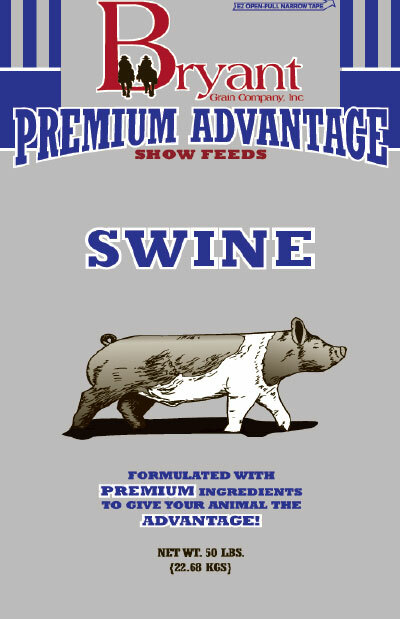 For increased rate of weight gain, improved feed efficiency and increased carcass leanness in finishing swine, weighing not less than 150 lb., fed a complete ration containing at least 16% crude protein for the last 45 to 90 lb. of gain prior to slaughter (group average). 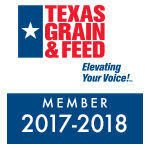 Ground Corn, Soybean Meal, Oat Groats, Roughage Products, Dried Whey, Soy Protein Concentrate, Vegetable Fat, Calcium Carbonate, Monocalcium Phosphate, Fish Meal, Animal Plasma, Yeast Culture, Zinc Oxide, Biotin, Dried Aspergillus Oryzae Fermentation Product, Salt, L-Lysine, Zinc Amino Acid Complex, Ferrous Sulfate, Choline Chloride, DL-Methionine, L-Threonine, Manganous Oxide, Copper Sulfate, Vitamin E Supplement, D-Calcium Pantothenate, Niacin Supplement, Vitamin B12 Supplement, Vitamin A Supplement, Riboflavin Supplement, Sodium Selenite, Menadione Dimethylprimidinol Bisulfite, Vitamin D3 Supplement, Ethylenediamine Dihydriodide, and Natural and Artificial Flavors. Medicated with 9 grams per to of Paylean®. Locked formula for consistent quality and nutrition. Balanced levels of amino acids to provide optimum performance. Amaferm® Digest More to maximize digestibility leading to increased energy for the animal. Zinpro Performance Minerals® to improve efficiency, immunity and the ability to cope with stress during the show season. Diamond V® Yeast to aid in Digestion. Added Zinc and Biotin for optimum foot health. Blend of Botanical Extracts to encourage feed intake and improve performance in pigs in the absence of antibiotics. Blend of Organic Acids to enhance performance in the absence of antibiotics. Feed continuously as sole ration to finishing swine weighing 150 lb (68 kg) to 240 lb (109 kg) for 21 days. Ractopamine HCI should be fed in a complete swine ration containing at least 16% crude protein for the last 45 to 90 lb. of gain prior to slaughter (group average). Provide plenty of fresh clean water at all times. DO NOT FEED wet, moldy or insect infested feed. **CAUTION: Pigs fed Ractopamine HCl are at an increased risk for exhibiting the downer pig syndrome (also referred to as “slows,” “subs” or “suspects”). Pig handling methods to reduce the incidence of downer pigs should be thoroughly evaluated prior to initiating use of Ractopamine HCl. Ractopamine may increase the number of injured and/or fatigued pigs during marketing. Not for use in breeding swine. NOTE: No increased benefit has been shown when Ractopamine concentrations in the diet are greater than 4.5 g/ton.